The Brazilian was needed to slot in at centre-back for the midweek draw with Bayern Munich in the Champions League, shining even in arguably his ‘weak’ side on the left of the pairing. But with Virgil van Dijk back from suspension, Fabinho is now in line for a start in his natural role in midfield, with Jordan Henderson, Naby Keita, Gini Wijnaldum and James Milner also options. It is highly likely the No. 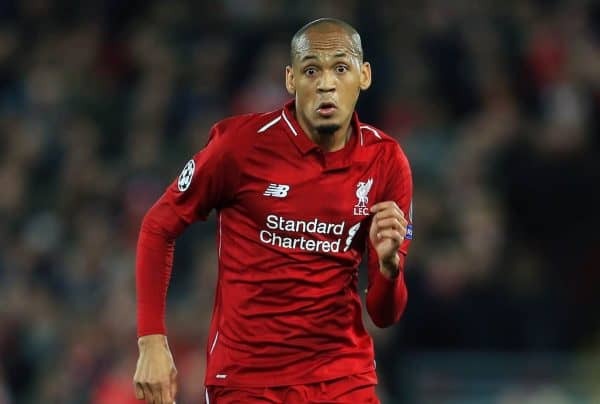 3 starts, given his overriding influence on Liverpool after a slow start, and speaking on Friday, Klopp batted away a strange suggestion that Fabinho could stay as a centre-back for the long term. Interestingly, the manager compared him to Emre Can, explaining how the club’s recruitment staff identified him due to his ability to play in midfield and defence, like the departed German. “It’s brilliant to have him as an option for both positions, obviously,” Klopp said. “I think his natural position is in midfield, but that he can play at centre-half makes him an unbelievably valuable player for us. “We knew last year that we would lose Emre Can, who is of a similar profile, so it was so important [to replace him]. “That’s was always the plan, that we have him for that as well, but with the four centre-halves we have we didn’t think we would have to use him there, actually! “But he can play the position, obviously, that’s really good. That helps us a lot. 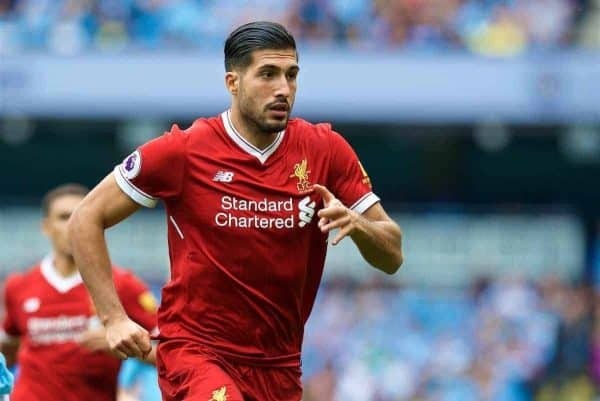 Can’s importance for Liverpool has been somewhat forgotten due to the nature of his free transfer to Juventus, but as Klopp says, it was paramount he was replaced. Fabinho appears to be a significant upgrade on the 25-year-old, too: a player who is more suited to the demands of Liverpool’s No. 6 role, as well as having the added height to comfortable deputise at centre-back. Both have spent most of their international careers at right-back, too, and while this is clearly a last-resort option for the Reds, there will have been few players on the market that could have fit the mould. And few that would have done so better than Fabinho who is, as Klopp attests, unbelievably valuable.